Potential is like water. It’s only limited by the container that holds it. 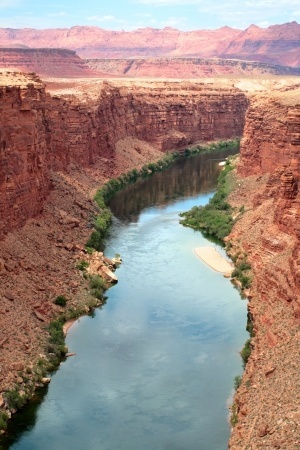 The unharnessed water of the Colorado River has created the Grand Canyon. This gentle and persistent force has gradually shaped and changed seemingly immoveable rock into one of nature’s wonders. Your potential is LIMITLESS. You are created in the image of the divine with untold possibility. Are you having a hard time seeing that? It can be easy to forget that we are made to be amazing. We are radiant miracles. Maybe creativity was stifled or obligations took precedence over our passions. Maybe we’ve built a cell with each “I can’t” or “I won’t”. Whatever it is, break free! Discover what the world holds for you! Find your passion! Just for today, don’t allow your fears, expectations or doubt limit you. Break out of the container and create something amazing, be someone amazing. Your potential has NO limit.